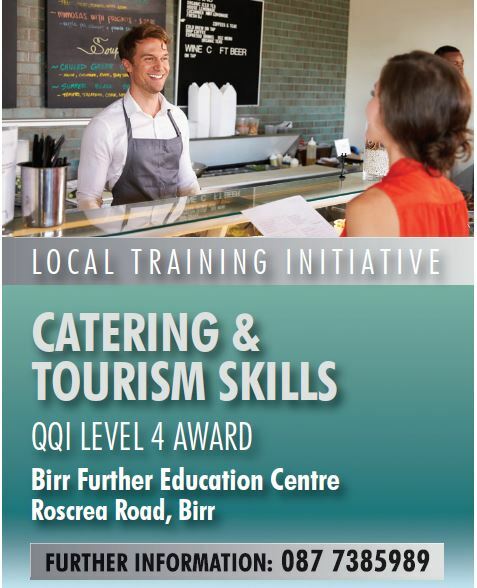 Looking to gain a Level 4 Qualification in Catering and Tourism? 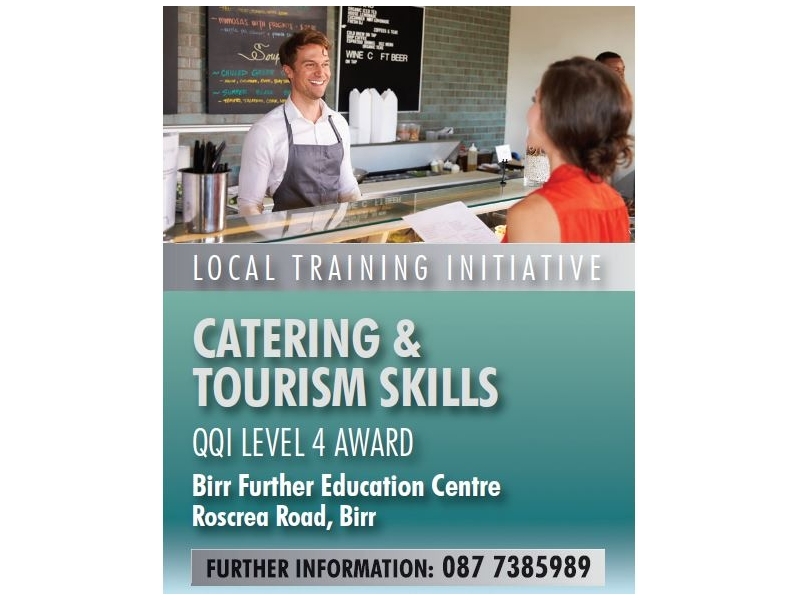 Offaly Local Development Company in conjunction with Laois and Offaly ETB is running a QQI Level 4 Award in Catering and Tourism Skills, in Birr Further Education Centre. For more information please contact Linda on 087-7385989.